I liked this ad in the Province Newspaper Today. As individuals we have to remember to try and treat others the way we want to be treated. 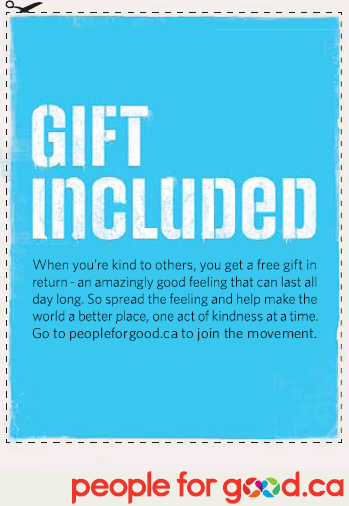 – I am probably the biggest offender, but sites like Peopleforgood.ca are a great reminder that it doesn’t take much to do something to brighten up somebody’s day. Share some goodness! I will try to do my part locally or globally!